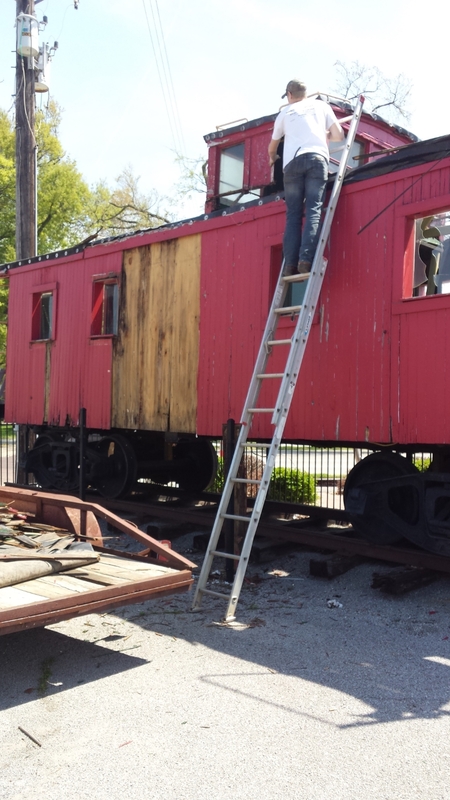 The Red Caboose was originally donated to the Sikeston Depot Museum in 2001 by the Don Lowe Family. It quickly became a downtown city landmark. “Go down Malone to the big red caboose and make a right”… “Go to the Caboose and make a left” … “Go west to the caboose and you’re there.” That’s how most people get directions to downtown Sikeston, Three Rivers College, or the Depot Museum. But that icon was in trouble. Fifty years in the sun, rain, and snow has taken its toll. Early in the summer of 2013, major roof problems were discovered. 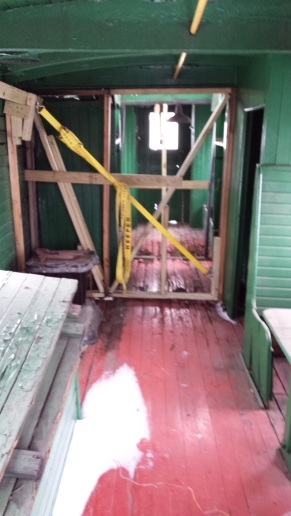 Looking into repairs led to an even bigger issue of major structural concerns throughout the caboose. Repairs made in September of 2013 served as a “band-aid” to support the structural integrity temporarily, but much more was needed. 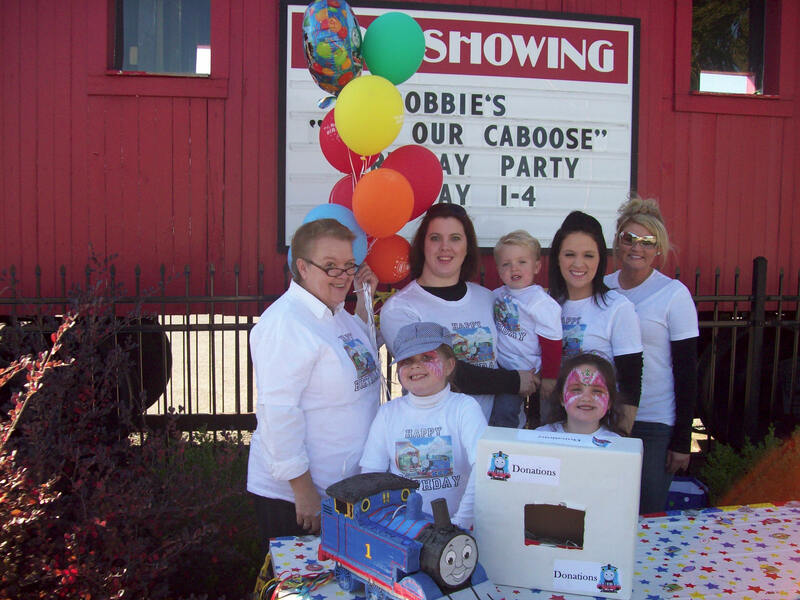 A phone call from Linsey Gillespie, a concerned citizen who had fond memories of the caboose, led to a “Save Our Caboose” birthday party for her son, Robbie. Her birthday plans soon snowballed into a fundraising project to rebuild and preserve the beloved landmark. Robbie’s Birthday party raised $2,000 thanks in large part to a donation from Jimmy Woods and Hi-Tech Communication. This money provided a huge step in the right direction toward rebuilding the caboose. Later donations, including a sizable donation from the Sikeston Lions Club, made going ahead with the project possible. 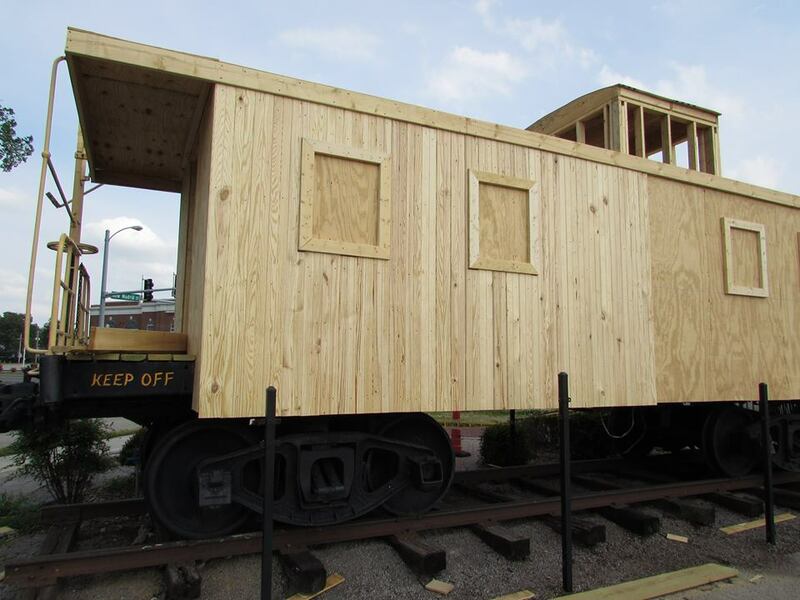 In the Spring of 2014 the Depot contracted with Hickman Construction to restore the deteriorating caboose. Once the project was underway, it was determined that the structure was too far gone for restoration and instead was rebuilt. The cost actually exceeded the amount contracted. However, Eddie Hickman - owner of Hickman Construction, finished the work by donating the remaining time and materials as a way to give back to the community. Hopper Roofing coordinated with Hickman Construction in the completion of the caboose. Pictured: Eddie Hickman, Alan Hopper, and Blake Hickman. The Sikeston Cultural Development Corporation extends it's gratitude to all of those who gave in the 2013 Capital Campaign that allowed for the funding of this project. We also wish to express a deep appreciation to all individuals and companies who helped us rebuild the beloved Red Caboose.